McLevy Hall in downtown Bridgeport, which traces its roots to 1854, once featured a hall that hosted a speech by then-Senator Abraham Lincoln on March 10, 1860. 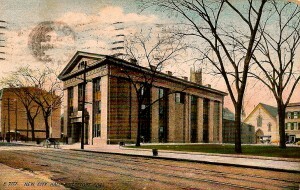 McLevy Hall, near the corner of State and Broad streets downtown, was originally built to serve as the Fairfield County Courthouse. 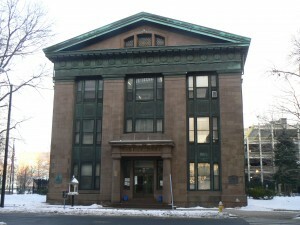 Portions of the building contained offices for the city of Bridgeport. An auditorium known as Washington Hall used to be part of the complex, and was the site of Lincoln’s final political speech in the early stages of the 1860 presidential campaign. 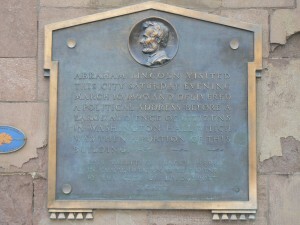 Lincoln came to Bridgeport as part of a speaking tour of New England immediately after his February 27 speech at New York’s Cooper Union outlining his opposition to the expansion of slavery into new U.S. territories. 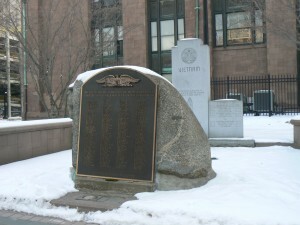 From New York, Lincoln spoke at several locations in New Hampshire, Massachusetts, Rhode Island and Connecticut before arriving in Bridgeport early on Saturday, March 10. During the day, Lincoln hung out with local officials and delivered his address early in the evening before taking a 9:07 train back to New York. 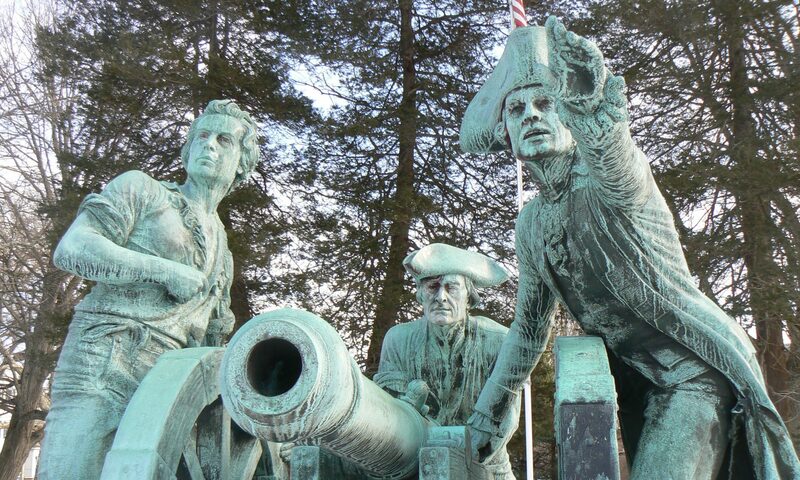 What the honorable gentleman from Illinois said in Bridgeport was not recorded. Most likely, his remarks had similar anti-slavery themes as his remarks in New York and New Haven, which were transcribed and published in local newspapers. 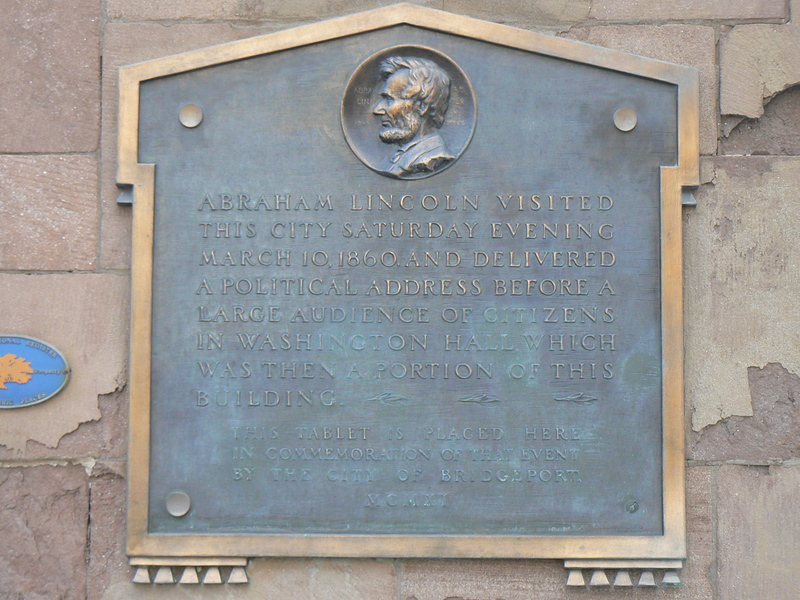 Lincoln’s speech is commemorated in a 1911 plaque on the State Street (south) side of McLevy Hall, near the front entrance. 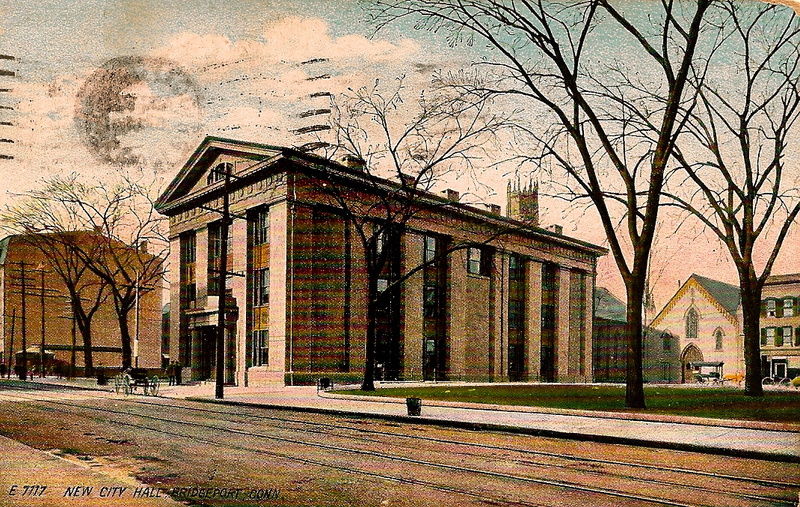 The vintage postcard below was mailed from Bridgeport to New Haven in 1909. 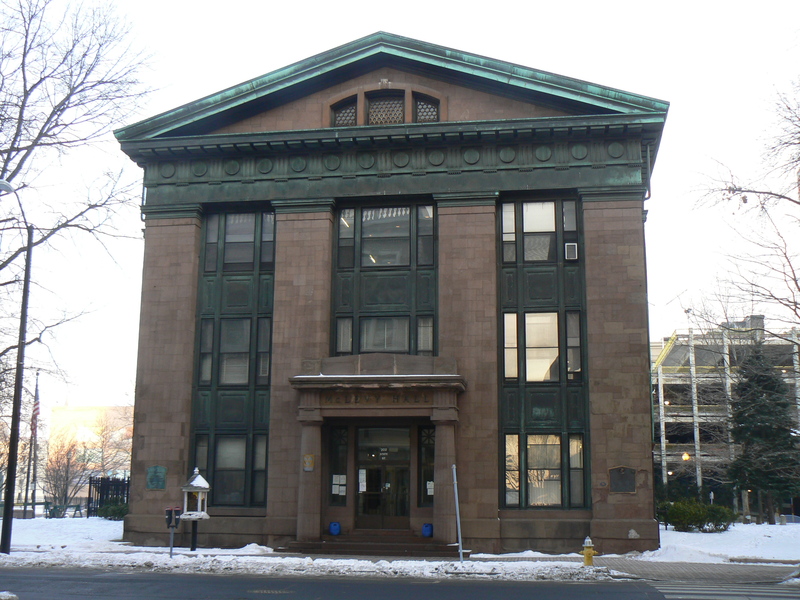 The building, which today is used as a City Hall annex and contains several municipal departments, was renamed McLevy Hall in memory of Jasper McLevy, a Socialist who served as Bridgeport’s mayor from 1933 until 1957. 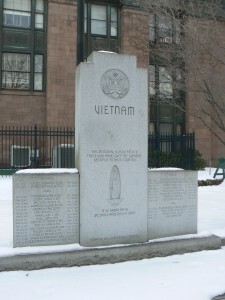 The building’s grounds also host the city’s World War (1933) and Vietnam (1983) monument. The plaque on the front of the World War monument appears to be a replacement.